Updated: May 14, 2016 with latest theme version. 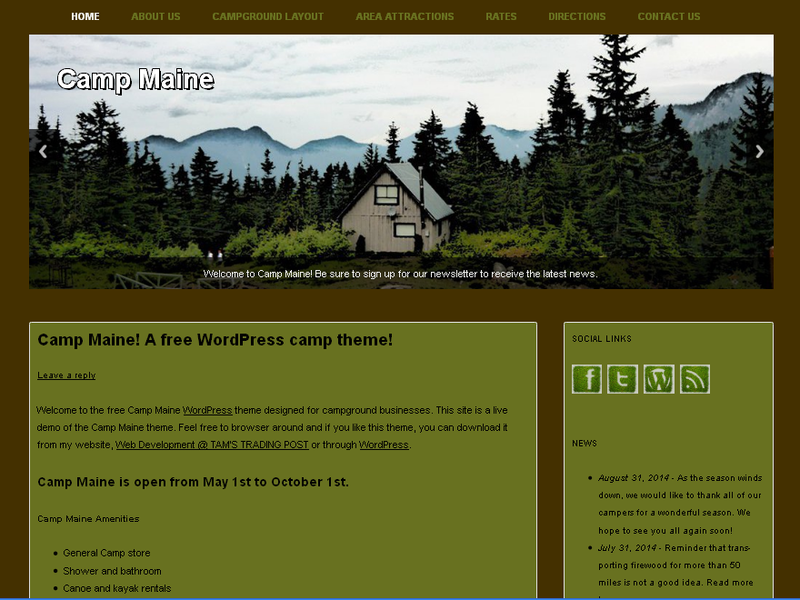 Camp Maine is a free WordPress theme for campground businesses. It is extremely easy to configure and can be customized to your liking. Download it from WordPress here or from below. Thank you. Camp Maine is released under the GNU General Public License v2 or later.